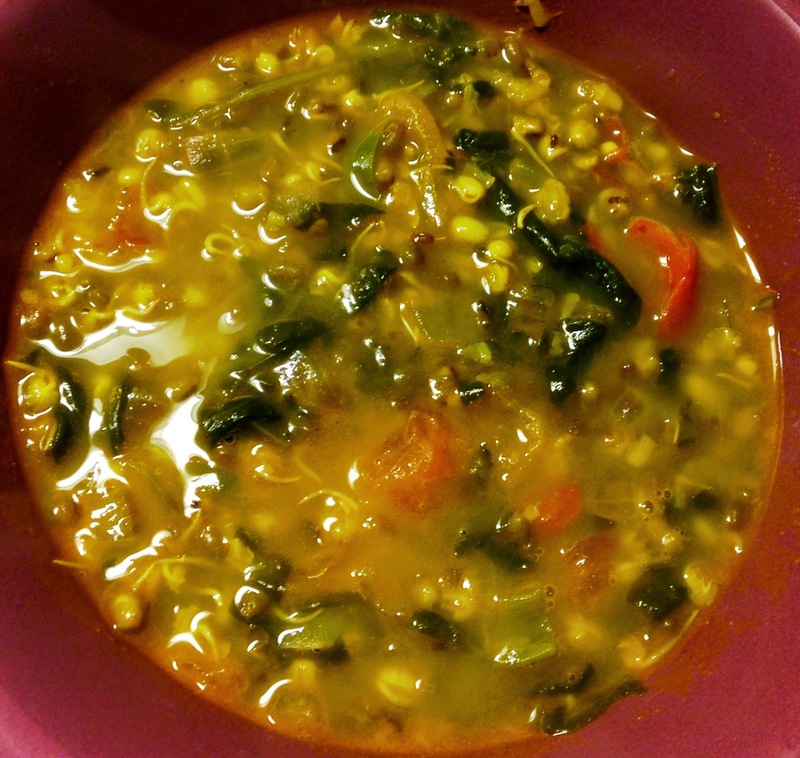 Wash the dal and the spinach leaves separately. Chop the spinach finely and pressure cook along with dal, salt and turmeric for 3 whistles. Turn off the flame and let the pressure release by itself, do not release the steam as it will destroy the texture of the sprouted grains. Make tempering: heat oil in a pan and splutter cumin seeds. Add the chopped onions and fry until they become transparent. Add garlic and let fry for another 2 minutes. Add tomato, ginger and green chilli. Mix well, add salt, red chilli powder and turmeric powder (if not added while boiling). I do half salt+turmeric in boiling and half in tempering. Mix well and let cook until the tomatoes are completely soft. 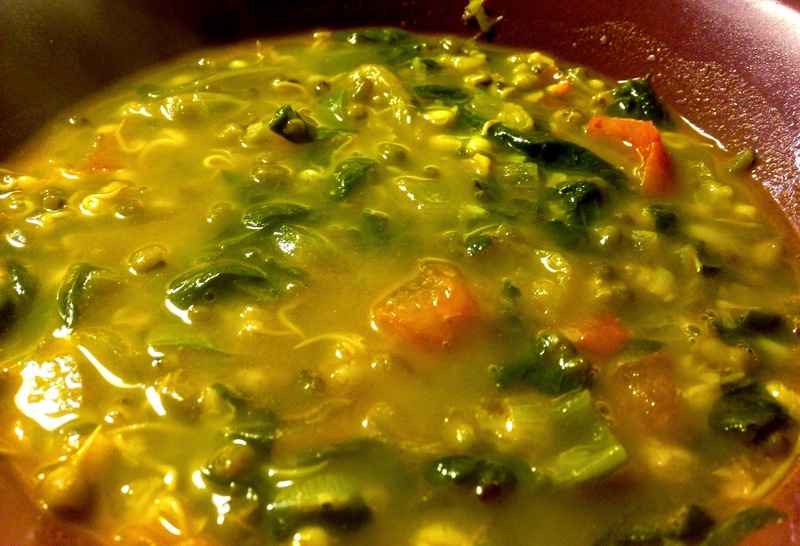 Add the mango powder, stir well and add this tempering to the dal and spinach boiled mix. Mix well, add little water if required. Let boil for 10 minutes on medium flame. Add garam masala powder and mix, turn off the flame and serve hot with chappatis.